In the very heart of charming Walkerville, there’s a red dot on a brick building so quaint, you just might miss it. But don’t miss it, or you’ll be sad you did. Sharing an entrance with the delicious scents of The Twisted Apron’s General Store, Poppy Paperie & Gifts offers a wide and varying selection of both stationary and giftware. A step through the door and you know right away the space holds something special. 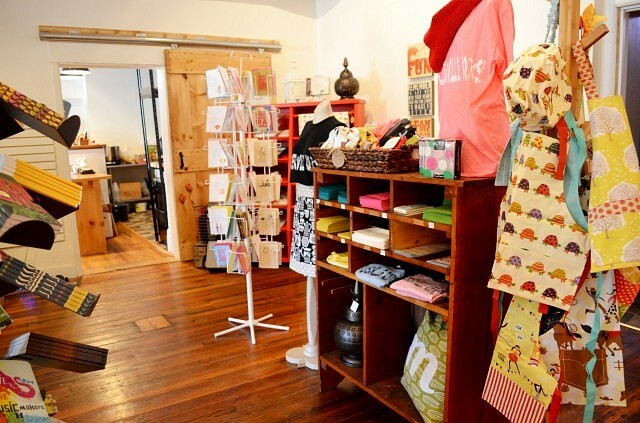 Open since July 2012, owner Lindsay Gammon (also of Bump Maternity + Baby) fills the space with Canadian and local handmade goods- from darling Padraig Cottage slippers sourced from BC to reversible aprons handmade with vintage fabric right here in Windsor. Born of Lindsay’s love of paperie, she’s trying to bring to her city the love of a well-written sentiment on beautiful paper. 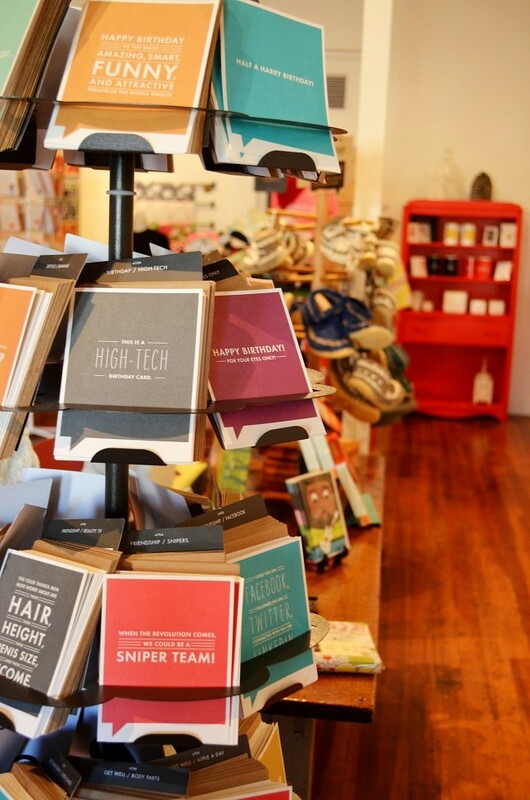 The rows of cards are all made from recycled material right here in Canada and contain only soy-based ink. They range from the sentimental to the hysterical and whatever your mood or sense of humour, there’s a card for you! Filling the rest of the wood shelves and tables are a varying array of thoughtfully curated giftwares. Mugs from the popular Roger Hargreaves Mr. Men book series, a crafted kit for teaching children the art of a thank you card, Walkerville Rocks tshirts, embroidered pillows, handmade local jewelry and so much more! Leave your watch at home and wear your comfy shoes, there’s time well wasted in this little shoppe. 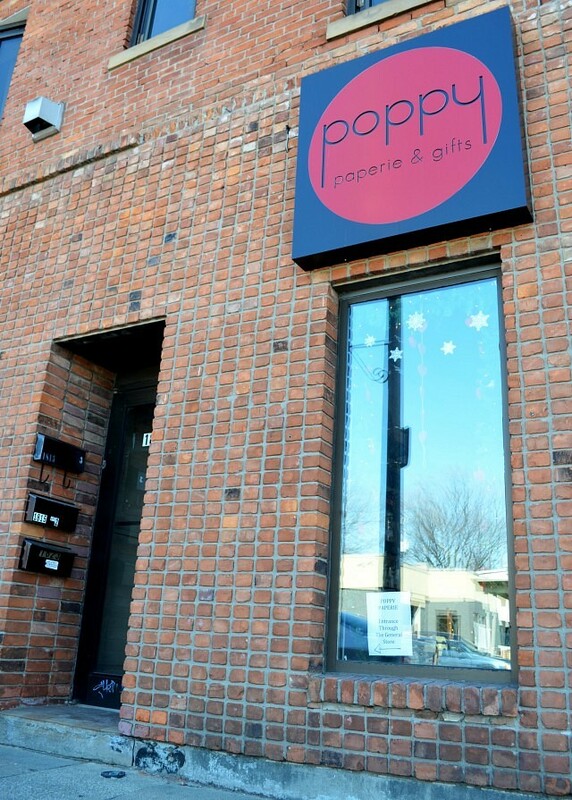 Lindsay’s mother, Linda, who works at Poppy Paperie, recalls that the shoppe reminds her of the feel of old Pelissier Street- personal, quaint and unique. 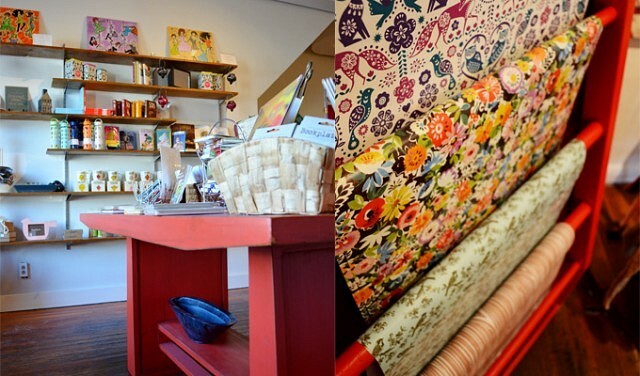 If you’re searching for that perfect gift, that one you can’t rest until you find for that person who appreciates a little extra thought and a little bit of quirk, you’re sure to find it at Poppy Paperie and Gifts in Walkerville. 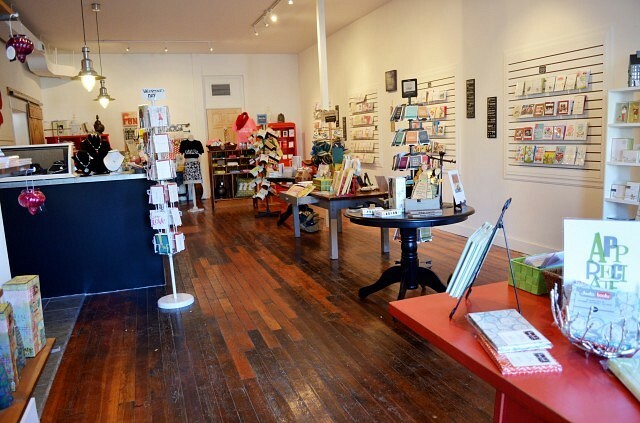 The store is located at 1823 Wyandotte Street East in Walkerville. You can reach them by phone at 519-915-1558 or visit their facebook page, here.